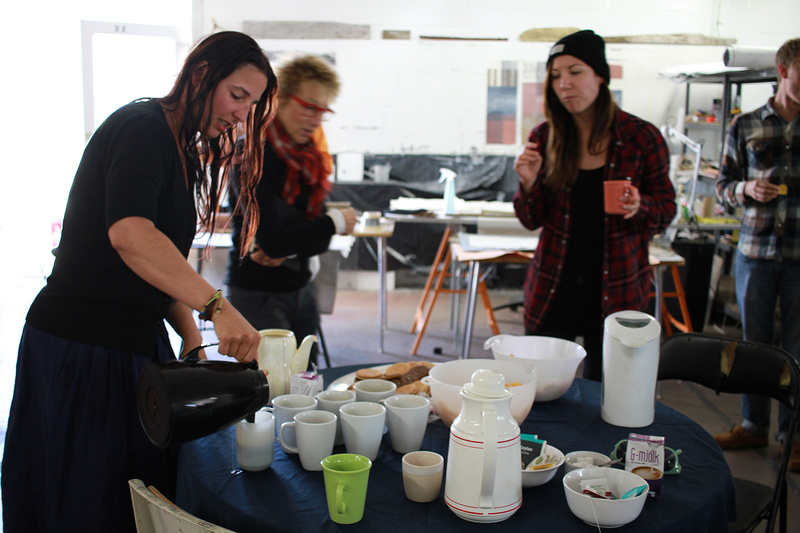 Kerryn gets caffeinated before we settle in for artist talks, where artists can discuss their work and process and receive feedback. 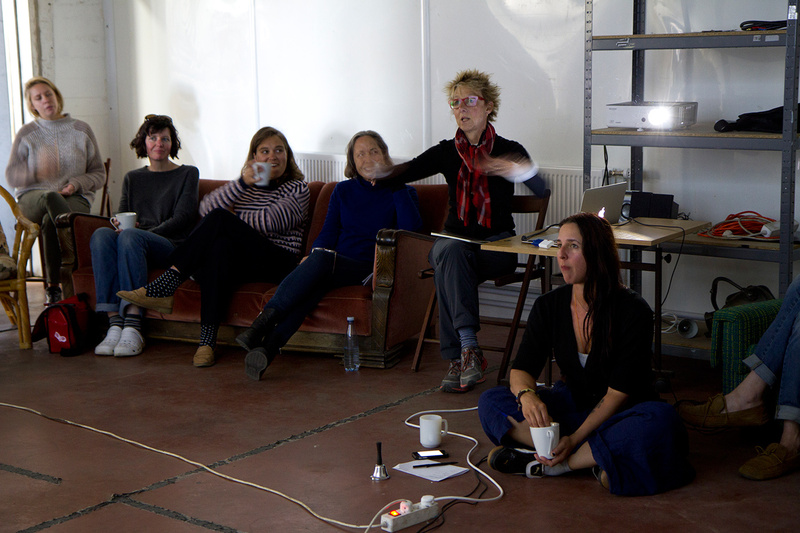 Lea Pantéa (in the black hat), in her second month at NES, discusses her series of paintings. 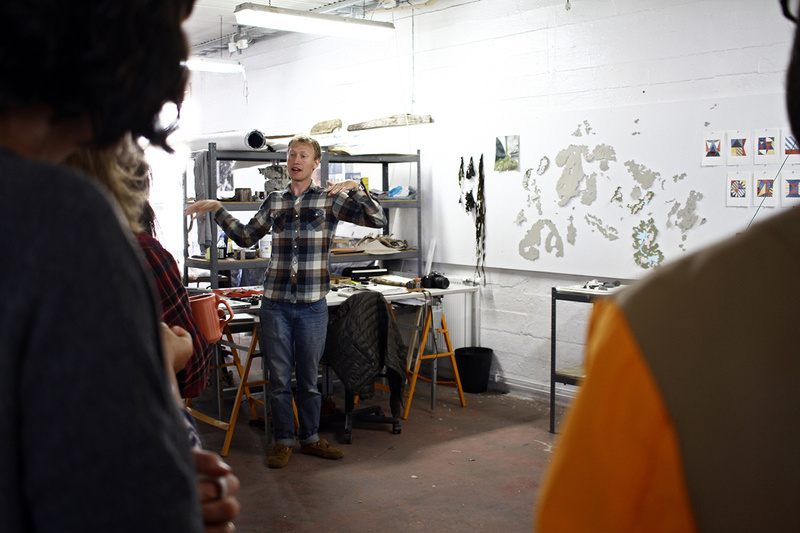 Ron Linn explains one of his projects, tacked to the wall behind him, which explores the map-like quality of the lichens that grow in Iceland. 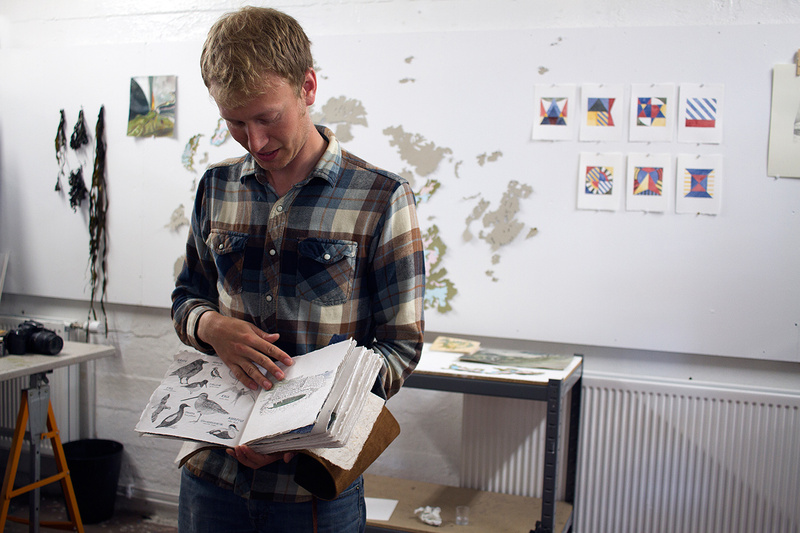 Ron is also in the process of making a beautiful illustrated book. 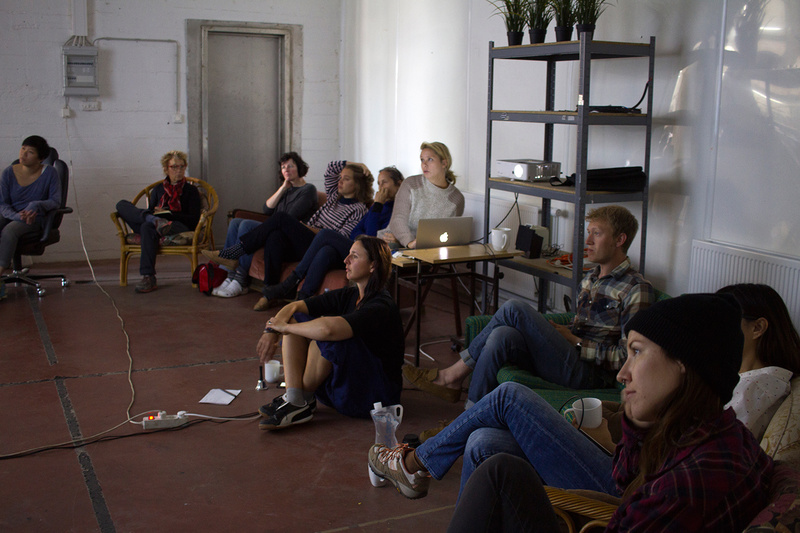 We sit in the "freezer", which used to hold frozen fish, during the majority of the artist talks, so artists with PowerPoint presentations can use the projector. 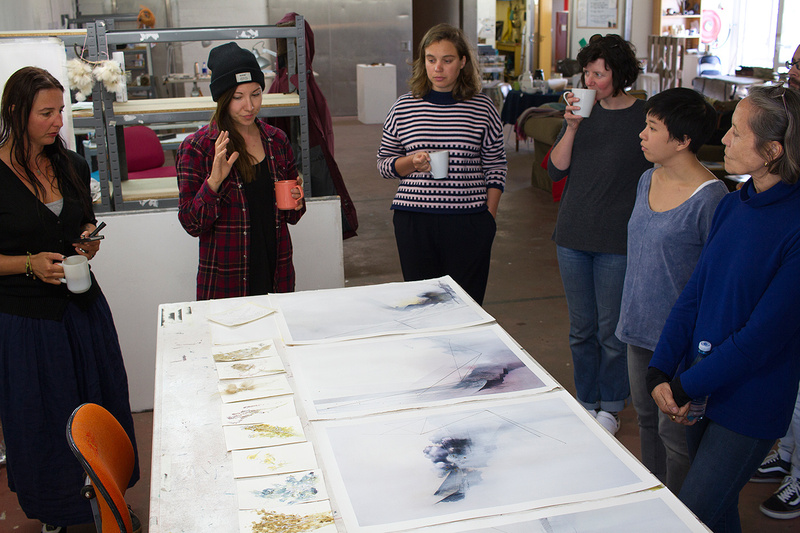 Pam Posey emphatically describes her painting process. 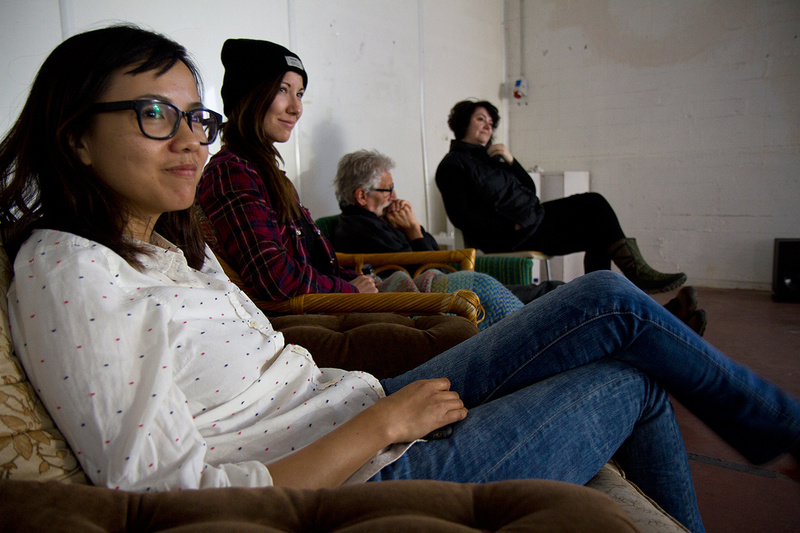 From left to right, Suilma, Lea, John, and Rose listen during the artist talks. 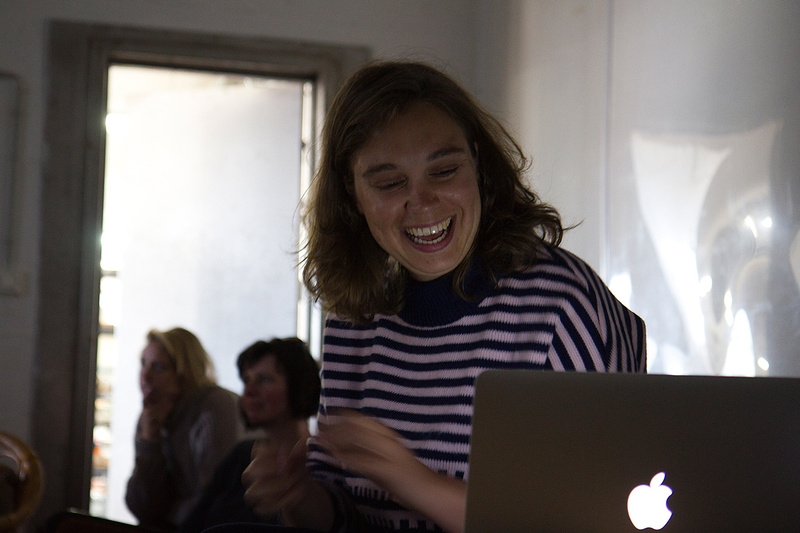 Amber Brandsma, fashion designer from the Netherlands, has a beautiful smile. 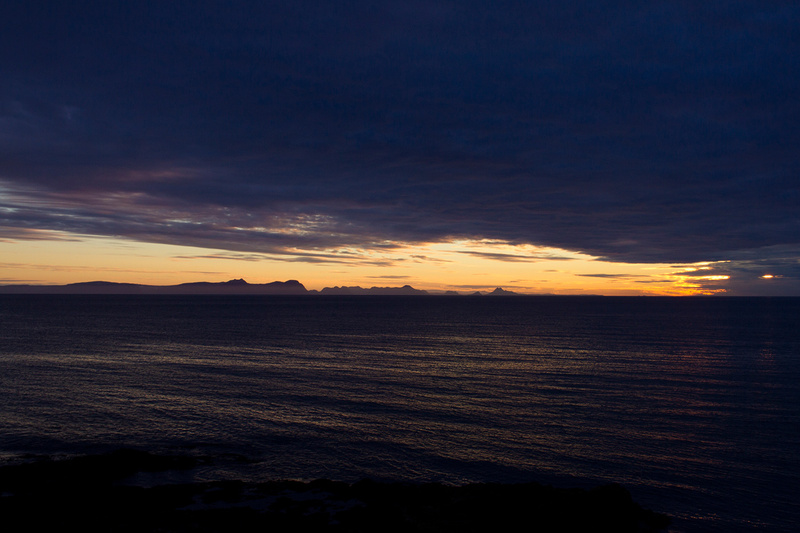 More epic light qualities of Skagaströnd in the evening. 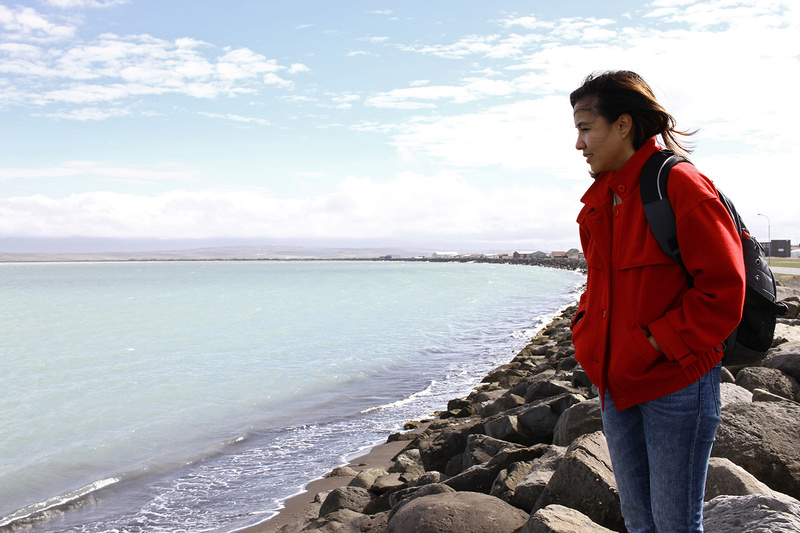 For Suilma Rodriguez's birthday, we took a trip to the nearby town of Sauðárkrókur, best known for being the home of the only fish leather tannery in Europe - and yes, the water really is that color. 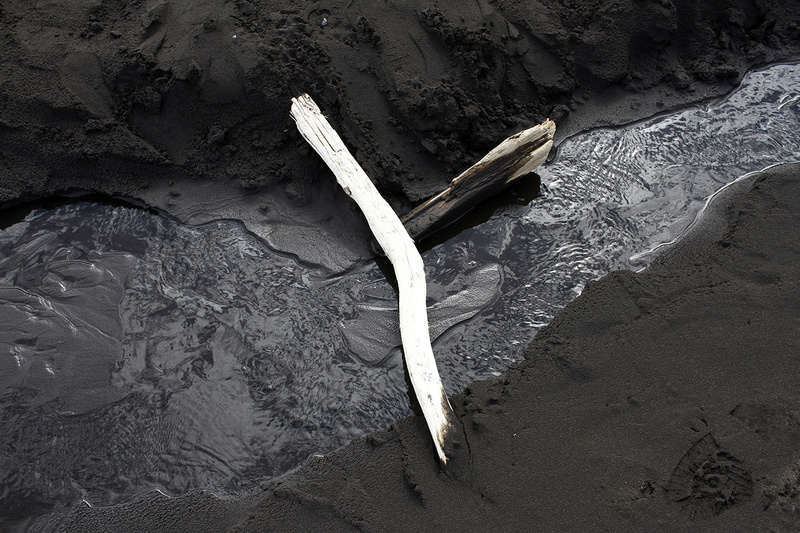 The juxtaposition of white driftwood against the black sand of Sauðárkrókur's beach is an irresistible composition. 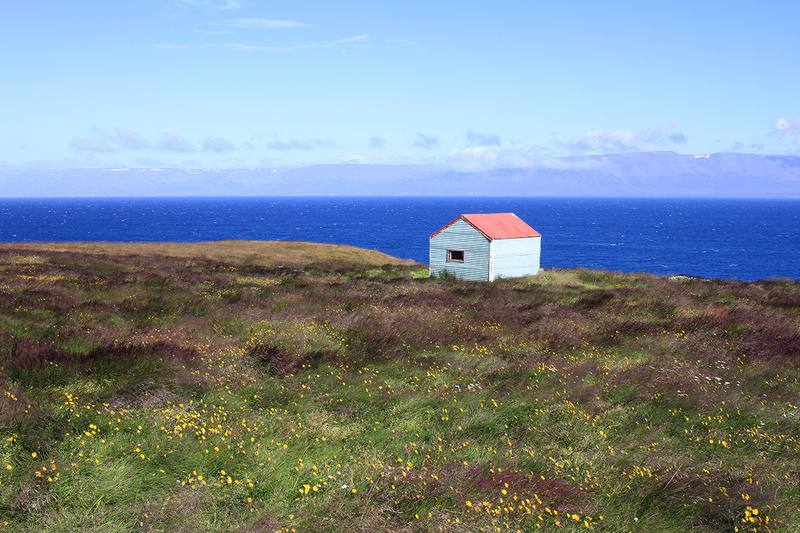 We drove up the coast north of Sauðárkrókur to Reykir, with a beautiful view of the ocean and this adorable little aqua-colored house on the way. 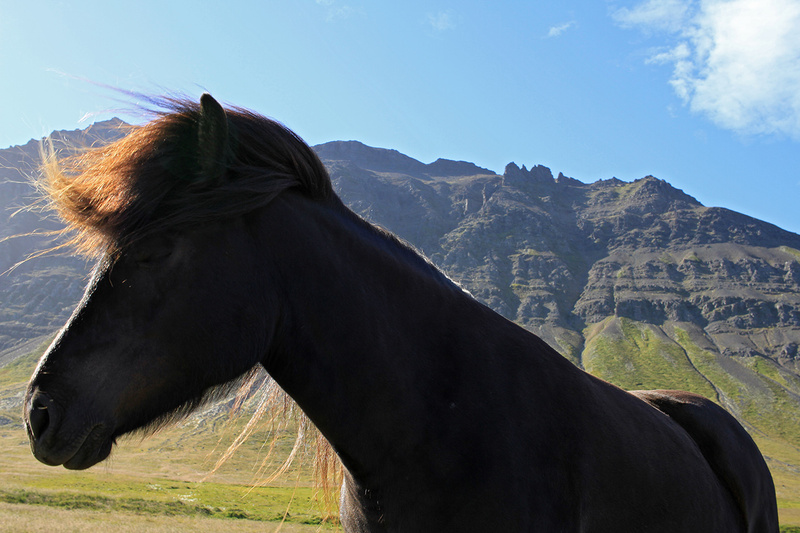 We stopped to pet some horses along the road - Icelandic horses are a distinct breed and can be found wandering freely all over the country. Suilma and I take a dip in the natural hot spring at Grettislaug - it is heated geothermally and pools of this kind are known locally as "hot pots". I am happy to be spending Suilma's birthday with her in this incredibly relaxing environment; the air outside the pool is about 55 degrees and the pool temperature is like a hot bath. Suilma has a rare but contagious smile. Suilma captured this one of me lounging in paradise. 10/10, would recommend. 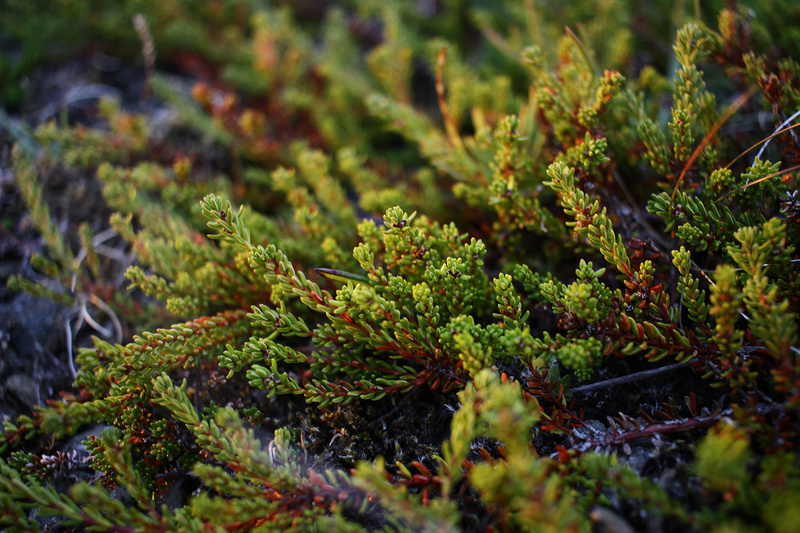 Closeup of some of Skagaströnd's mosslike plant growth. 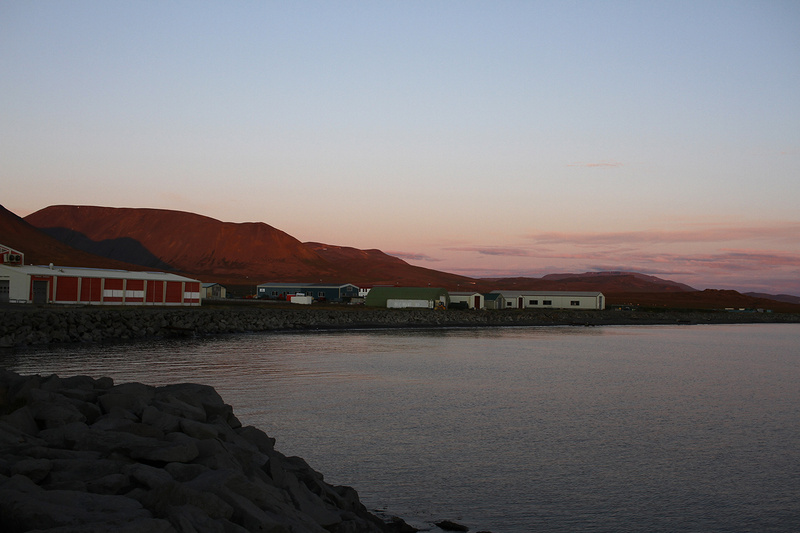 I hiked up to the sea cliffs on the north end of town for an unobstructed view of a cloudy sunset - I was not disappointed, and you can see the Westfjords in the distance.